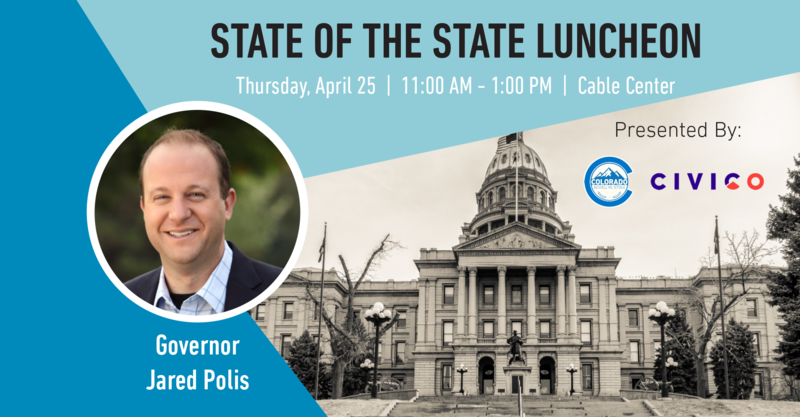 Join the Colorado Business Roundtable and our partner, CiviCO for State of the State with Governor Jared Polis. Governor Polis will be discussing some his his signature initiatives and other legislation that will have an impact upon our state. This has been a busy legislative session and you will not want to miss this signature event!